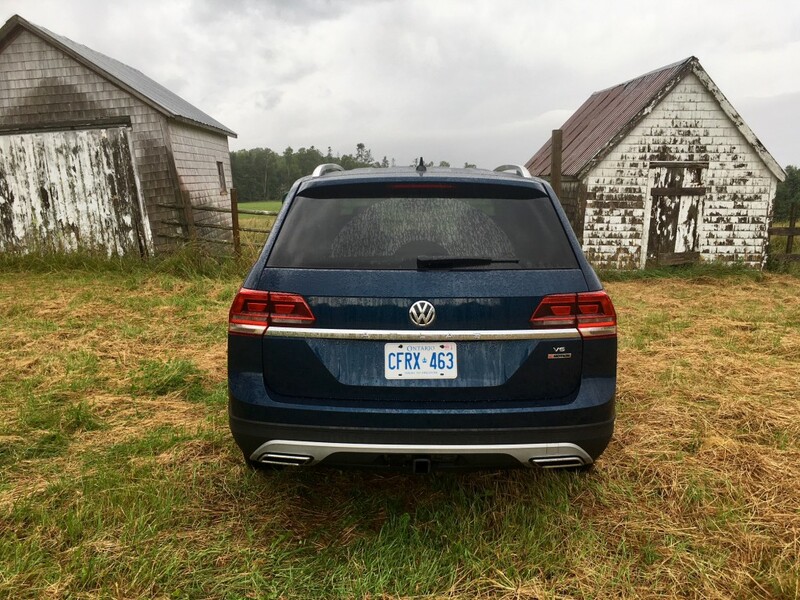 The Touareg did its best to fit the bill, but its relative small size, lack of third row seating and extra premium pricing turned off North American buyers. 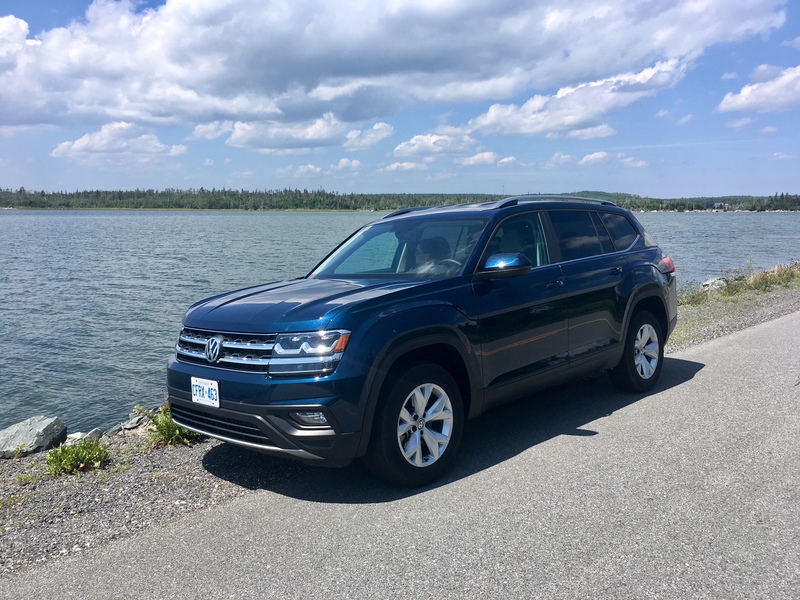 So Volkswagen made a vehicle specific to North American tastes and “needs” (I put needs in quotations because I’m skeptical as to whether or not we actually need vehicles like these). But regardless of my personal feelings, Volkswagen claims it has delivered. Firstly, the exterior styling is largely successful in incorporating the Volkswagen corporate design language. There’s no mistaking it for anything else, and there’s even no mistaking it for any other Volkswagen. 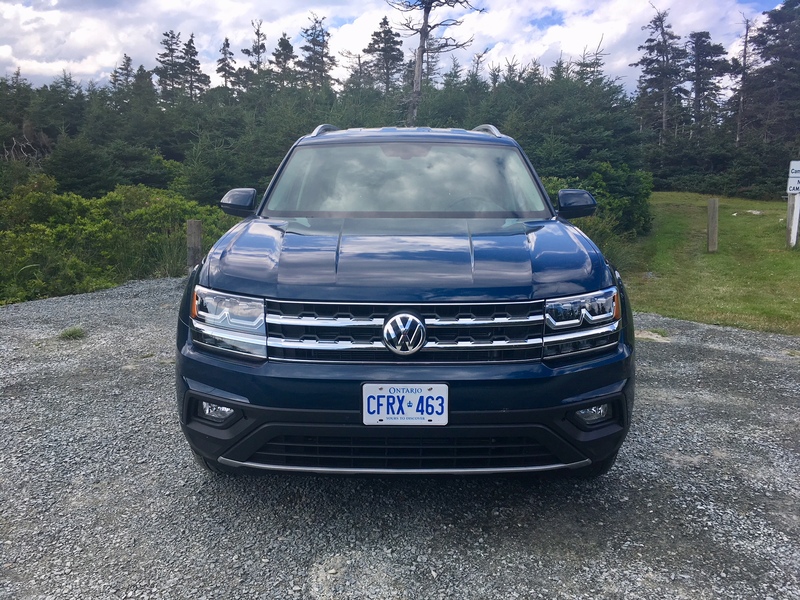 The big bold grille matched with standard LED headlights give it a good measure of road presence and while attractive in design, the 18-inch wheels fitted to my tester looked positively tiny on this big body Volkswagen (20s are available in the higher trim levels). Out back, sharp looking tail lights (matched with amber turn signals no less!) and chrome trim help to complete the look. 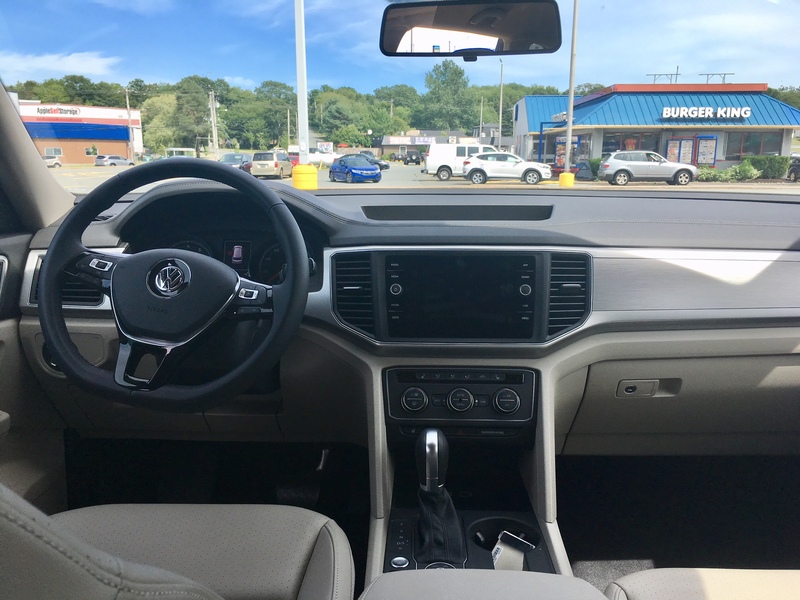 If you’ve ever been in a modern day Volkswagen, you’ll immediately be able to familiarize yourself. This isn’t necessarily a bad thing as controls are logically laid out and well within an easy reach of the driver. 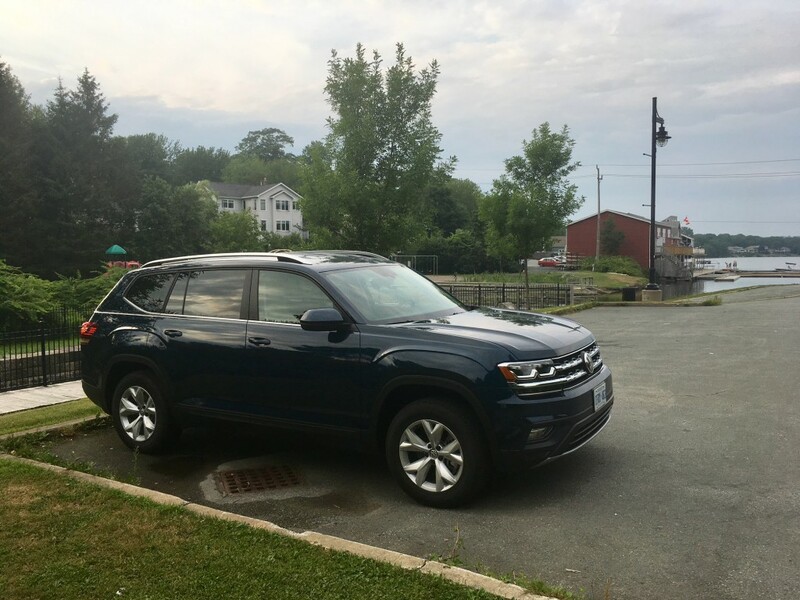 My lower trim Comfortline tester still came equipped with decent features including three-zone climate control, autonomous braking, adaptive cruise control, blind sport monitoring and keyless entry. Apple CarPlay and Android auto is available as well. The infotainment system is operated through a crisp and clear touchscreen display and it seems to respond to commands on the first try. The only downside is this screen shows finger prints like crazy. 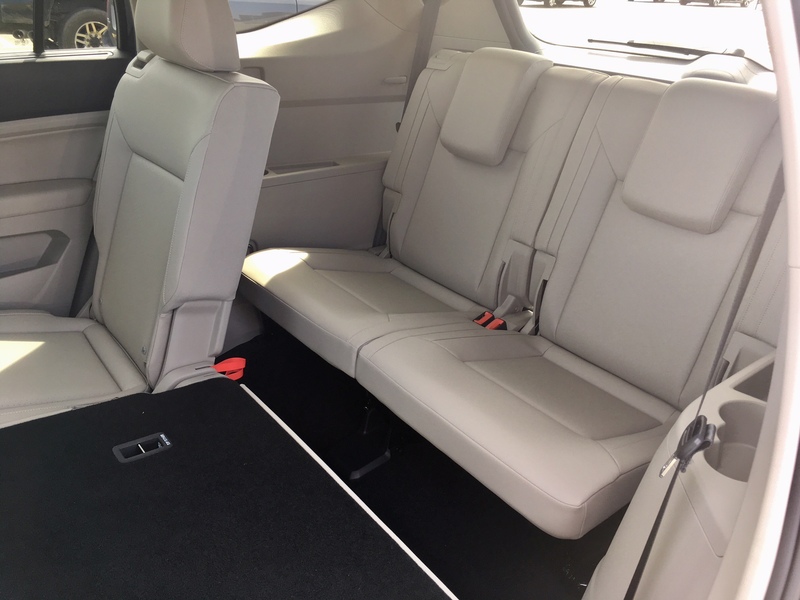 The quality of materials are high for the most part, though in the mid-trim Comfortline, hard plastics can be found here and there. But let’s get to the reason why you might even be considering this behemoth of a Volkswagen: interior room. There’s plenty of it, including big cup holders and lots of cubby holes in the doors and throughout. The second row seats offer good space and comfort as well, and third row passengers will do fine if they are youngin’s, though moderately sized adults would be able to make due for shorter journeys. 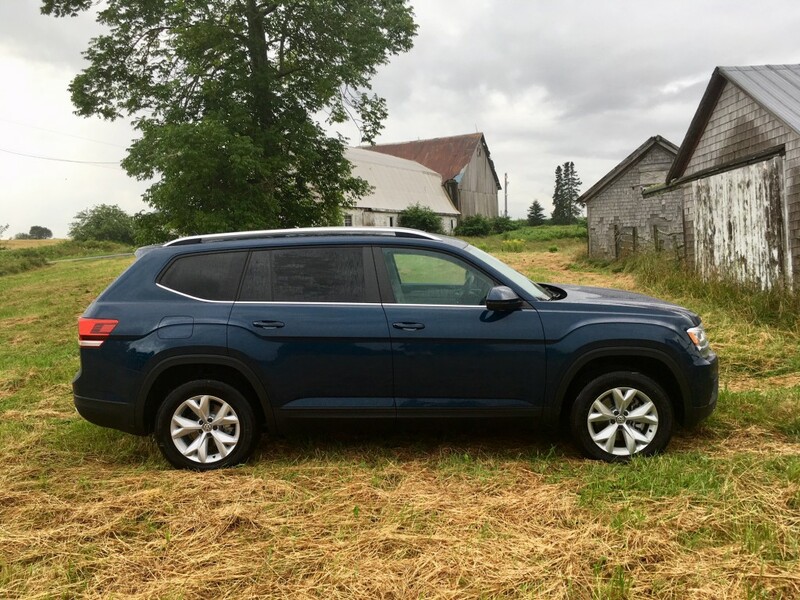 With all rows of seats up, there’s still plenty of room for some groceries and if you fold all them down, you’ll gain a space so vast that you’ll want to sell your camping tent in favour of the Atlas’ load floor. There are two engine options available: 2.o turbocharged four cylinder and a 3.6 litre V6. Which engine you get is entirely dependent on if you opt for front-wheel drive or all-wheel drive. The turbo four is for front-wheel drive models while the V6 is paired to all-wheel drive models. My tester was fitted with Volkswagen’s famous 4Motion all-wheel drive system, therefore I had the V6’s 276 horses to play with. The thing is, the Atlas weighs about as much as a small church so acceleration is far from blistering in its delivery. This engine seems to prefer relaxed, smooth acceleration over brute power and urgency. While it emits a pretty decent sound when pushed, this engine is more about sophistication and overall quietness. The eight-speed automatic shifts quickly to boot. The Atlas is a wide vehicle and it feels it on the road. Getting the Atlas through twisty corners can be a tad trying with light steering feel and slight body roll, but it will still push through with relatively good confidence. That light steering helps for tricky parking maneuvers, but I’d prefer a bit more feel to it when driving in the corners. 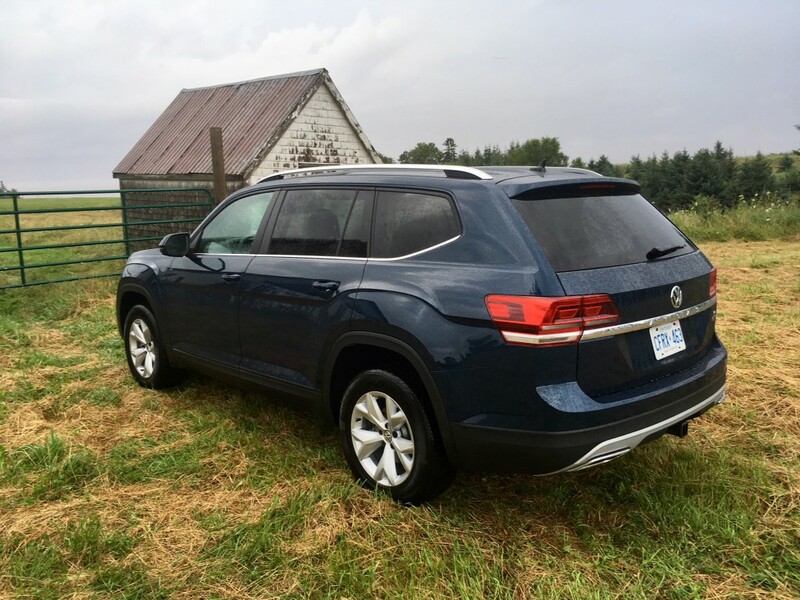 The Atlas is more of a highway star. That tightened steering feel that I want for the corners seems to occur at higher speeds, giving confidence to the driver. 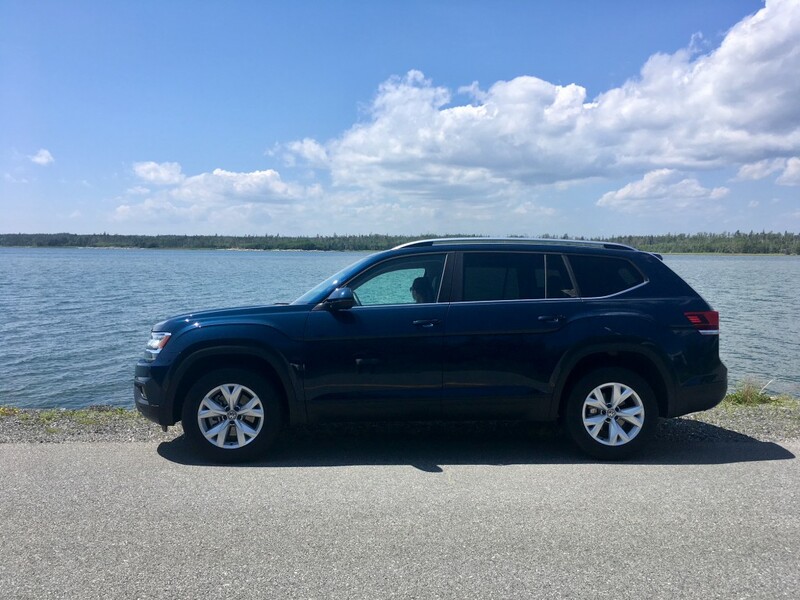 It also is solid at high speeds and, in typical German vehicle fashion, makes it easy to go beyond the speed limit without noticing. Still, set the adaptive cruise control and you’re in for a pleasant and comfortable road trip. The only real issue I noticed was a fair amount of wind noise and a cabin that should be a bit quieter considering the Atlas’ price tag. I didn’t get much chance to try out the all-wheel drive system but it’s worth mentioning how this system works, for those of you looking for traction prowess in the winter. There are clutches set up in the rear to grab within milliseconds of a slip detection to give you instant traction. This torque is sent from the front wheels and is seamless in its delivery. Also, when at a stop then going onto the throttle, all-four wheels are pre-engaged. 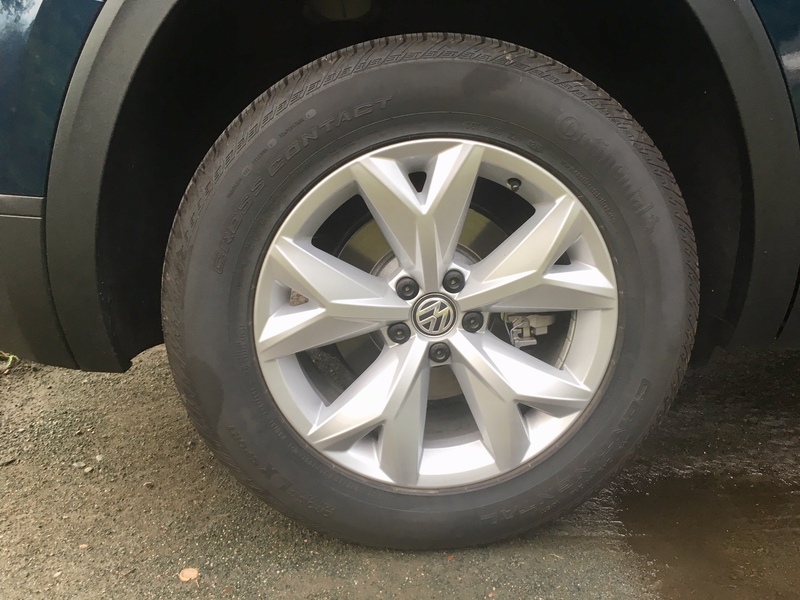 That means quicker off the line traction, where most other systems wait for slippage to be detected before engaging the all-wheel drive system. There are different selectable drive modes to choose from which allows you to select the type of terrain you’re on. Yes, there is a snow specific drive mode to choose from – a feature all Canadians would be happy to have. Fuel consumption figures officially come in at 13.1 L/100 kms city for the V6 and 10.1 highway. Through mixed driving, I was able to return a pretty decent 10.8 combined. Considering the size and weight, that is rather impressive to be sure. And as far as big SUVs go the Volkswagen’s first real attempt into the foray also impresses. 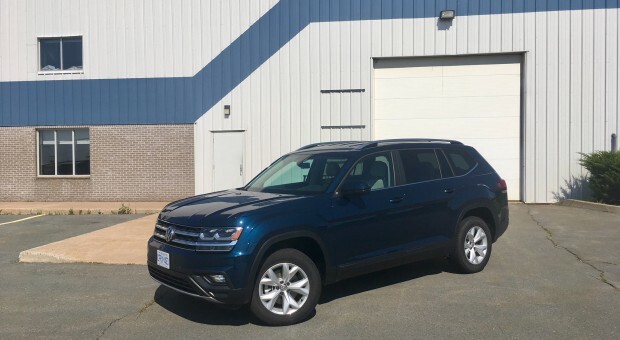 It’s a big vehicle that’s easy to live with day to day and offers great cargo space, a comfortable and tame ride along with an all-wheel drive system that’s among the best in the business. My tester’s Comfortline trim is likely to be the most popular, and for that you get a good amount of standard tech and features to boot.